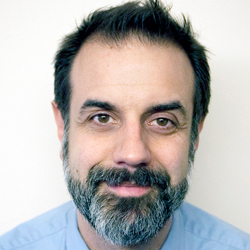 John Dankosky is executive editor of the New England News Collaborative, an eight-station consortium of public media newsrooms. He is also the host of NEXT, a weekly program about New England, and appears weekly on The Wheelhouse, WNPR's news roundtable program. Previously, he was vice president of news for CPBN, and host of Where We Live, twice recognized by PRNDI as America’s best public radio call-in show. You can also hear him as the regular fill-in host for the PRI program Science Friday in New York. He has worked as an editor at NPR in Washington, and reported for NPR and other national outlets on a variety of subjects. As an editor, Dankosky has won national awards for his documentary work, and regularly works with NPR and member stations on efforts to collaborate in the public media system. As an instructor, he has held a chair in journalism and communications at Central Connecticut State University and been an adjunct professor at Quinnipiac University. He is also a regular moderator for political debates and moderated conversations at The Connecticut Forum , the Mark Twain House and Museum, The Harriet Beecher Stowe Center, The World Affairs Council of Connecticut and The Litchfield Jazz Festival. As a moderator, Dankosky has contributed to the success of many Connecticut Forums, including Our Fragile Earth (2012), Vision & Brilliance (2012), An Honest Look at Mental Illness (2014), Debating Our Broken Political System (2014), The Science of Our Minds (2016), The Future of Higher Education (2016), and The State of Journalism & the News (2018).